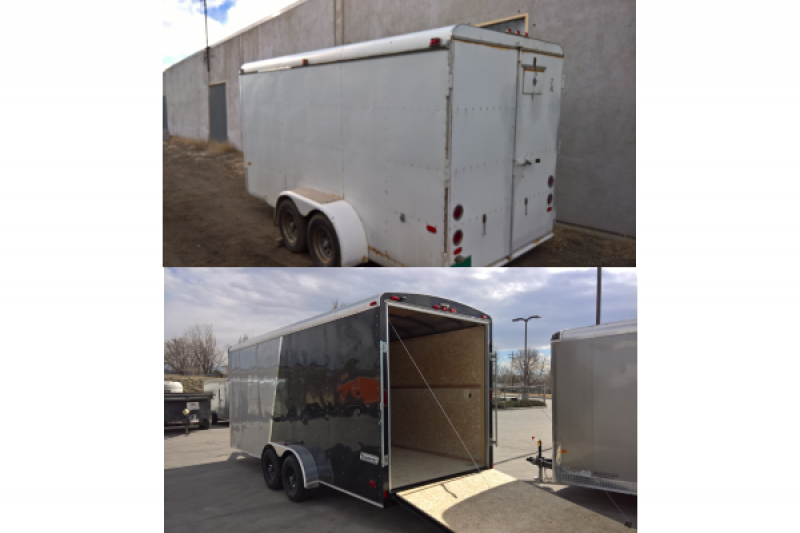 In 1995 the Rocky Mountain Division - Train Collectors Association (RMD-TCA) bought a sturdy steel trailer. It has traveled thousands of miles bringing smiles to hundreds of adults and thousands of children. Now 21 years later it is time to get a new trailer. The club has paid for new the modules, but now we need a trailer to transport them in. With the new trailer we will be able to continue the tradition of promoting the toy / model train hobby. We are planning to start with local train shows, food and gift shows and then return to Children's Hospital in Aurora. We are also hoping to visit local elementary schools to not only promote the hobby, but to promote real train safety as well (Stop, Look and Listen). With a new more reliable trailer we should be able to visit nearby states as well. The same team that built and operates the train layout also maintains the layout at the local Ronald McDonald House. If the intitial goal is met we will take the additonal funds and buy train sets to give away to deserving children. We have now raised more half of the money needed to by the trailer! With your help we can get back on the road! We continue to receive funds directly. So far we have collected more than 1100.00 and received a promise of 2500.00 when we hit 8000.00 mark. Donate $5.00 and know that you have moved us closer to our goal and Thank You! Donate $10.00 and have your name inscribed in the trailer. Thank you for matching 500.00 that was raised at the RMD-TCA event. Donated while at train show. We have been collecting donations from club members and attendees where we have displayed. My introduction to Rocky Mountain Division-TCA was enabled via the club's run modules. They are an important component of RMD's effort to engage and educate the public, especially children, in the hobby of model train collecting and running.